The Microsoft lover's perfect Christmas bundle? Just last week we brought news that mobile network O2 would be flogging PS4s with new mobile contracts and now those in Microsoft's corner can also take advantage of a console plus smartphone deal. From Thursday, the bubbly network will be offering an Xbox One and Nokia Lumia 1020 contract bundle, which will net buyers 1GB of data, unlimited texts and a year of Xbox Live and a copy of FIFA 14 to boot. For that veritable grotto of Microsoft-centric goods, folks will need to fork over £100 up front, plus £52 a month for the next two years. New and current customers can sign up as part of the O2 Refresh plan. The deal is only available in O2 stores, 65 of them to be precise, rather than online, with the company saying it has limited stock to go around. The Xbox offer follows O2's decision to hawk the Sony PS4 with the Sony Xperia Z1 phone on a similar deal, with a year of PlayStation Plus and a copy of Killzone: Shadowfall. 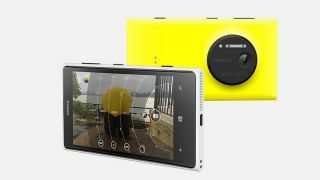 "With our new Xbox One and Nokia Lumia 1020 bundle customers will be getting one of the best consoles and one of the best camera phones in time for Christmas," said David Johnson, General Manager Devices for O2.